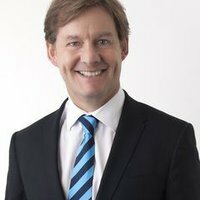 Tony Morrison commenced his career in real estate in 1988 with Dawe, Tabe and Lees real estate which subsequently re-branded to the Professionals. Between 1988 and 1998 he was the office's top sales person every year as well as the top sales person for the group every year for the state of Tasmania. Between 1991 and 1998, Tony was awarded Tasmania's Multi list sales person of the year 8 years in a row. In 2001 he formed independent real estate company, M&M Real Estate in conjunction with my brother Scott Morrison and Kirsty Dunphey. Our company went onto reach no.24 In BRW's fastest growing companies in 2004. In 2004 we re-branded M&M Real Estate to Harcourts and took on the state franchise. I was appointed the state's first Harcourts CEO and has built the brand from the original office to 23 residential offices plus a rural franchise, Landmark Harcourts and a commercial franchise, NAI Harcourts. Today Harcourts Tasmania is the biggest real estate group in Tasmania with a market share that hit 20% in June 2012.